The checkbox and radio button versions of input elements used in forms on the web are amongst the most difficult to style according to your overall web design. These elements will display differently depending on the user’s operating system, but we can change their appearance globally with the help of jQuery. 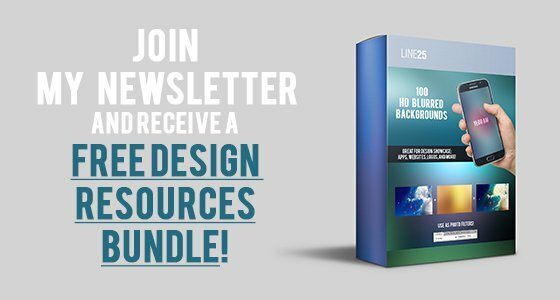 This roundup links up 12 jQuery plugins for styling checkbox and radio buttons, as well as other similar form elements, ranging from clean and minimal button styles to unique iPhone style toggle switches. Also check out more jQuery plugins. 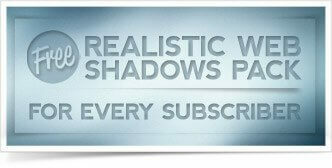 This plugin is a jQuery styling plugin which allows you to skin form elements. It teaches you exactly what code snippets to use in order to achieve this result. 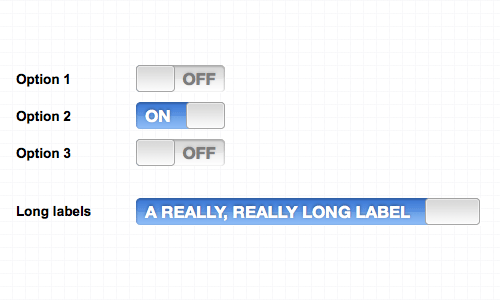 Switchery is a plugin that helps you turn your default HTML checkboxes into beautiful iOS 7 style switches. This is a lightweight and beautiful jQuery plugin for radio and checkbox inputs. rcswitcher is jquery plugin that transforms radio buttons and checkboxes into a nice switch button. Ever wanted those flash iPhone on/off toggle switches on your web page? Now you can make them with jQuery! 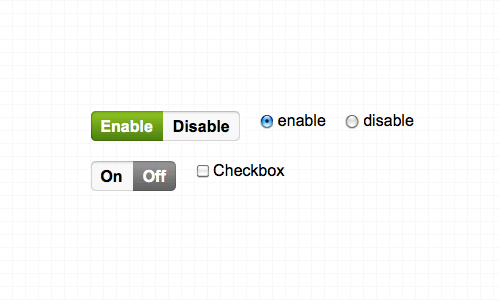 This plugin implements the iPhone toggles as replacements for standard HTML checkboxes. Checkator is a jQuery-based replacement for radio and checkbox elements. 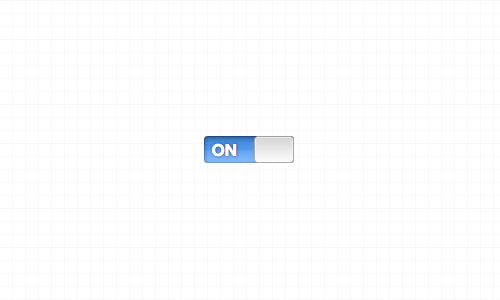 This plugin allows you to generate iPhone-style buttons from checkbox and radio elements. 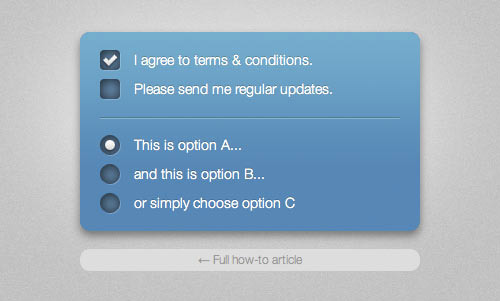 This is a checkbox component based on Bootstrap framework. In my web designing experience i never used radio versions button but i think this is a good technique. Thanks for these, I wasn&apos;t aware of using jquery with checkboxes and buttons, some of these look great and I&apos;ll definitely be trying a few out. good article. thank you for the awesome collection. Thanks chris gotta lot of information.. Thanks! these are brilliant – will be trying out a few. Thanks a lot for such a wonderful list of jquery plugins. 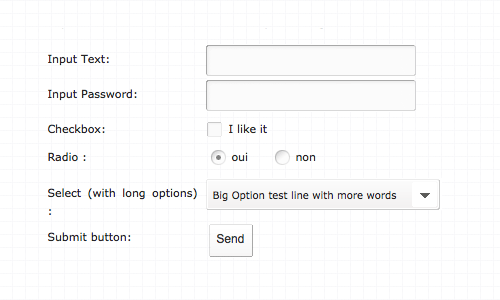 I do not possess too much idea about html and forms, but from what I see over here, it is quite interesting. I guess I need to visit this site again to read updated comments by others and the original poster. I&apos;ve been looking at this for a while now. I really liked jqtransform but had problems with <select>. Again an awesome ressource of knowledge! Love your ongoing inspiration for top notch webdesign. 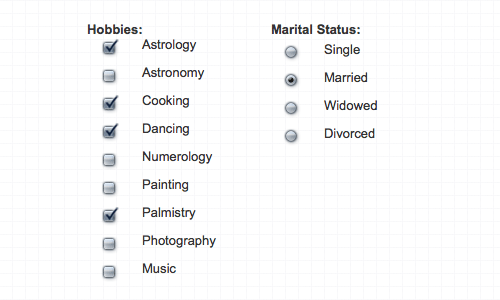 There&apos;s also ideal forms, pretty cool plugin too.